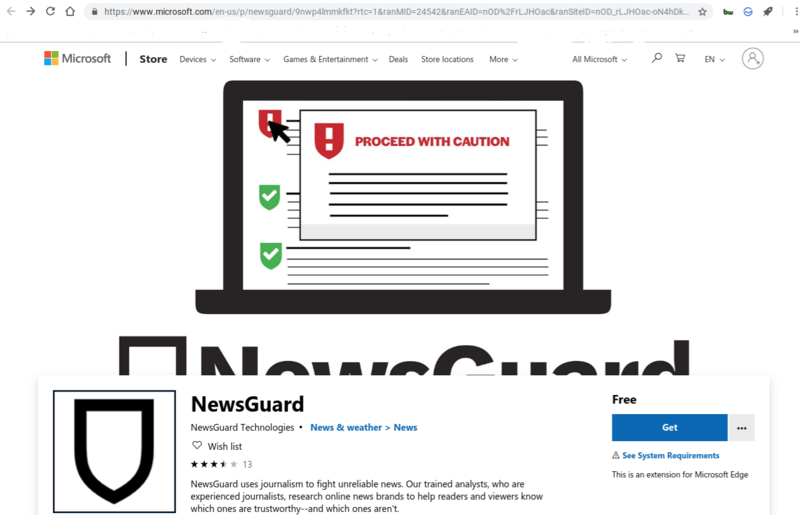 Software giant Microsoft has partnered with NewsGuard to warn users about fake news. It works for both Android and iOS in the Edge mobile browser. First introduced for desktop last year, might make its way into the browser permanently. Herein lies the challenge for the technology. The combination of artificial intelligence and machine learning are supposed to identify fake stories and even spot bad reporting. But, it’s ultimately up to consumers to make the determination. Another hurdle to overcome is getting consumers to install such browser extensions in the first place. Then, there’s the matter of bias, which can easily creep into the final release of such extensions. While NewsGuard and other like products ostensibly work, there’s no guarantee of total accuracy in identifying fakes. “NewsGuard uses journalism to fight unreliable news. Our trained analysts, who are experienced journalists, research online news brands to help readers and viewers know which ones are trustworthy–and which ones aren’t.